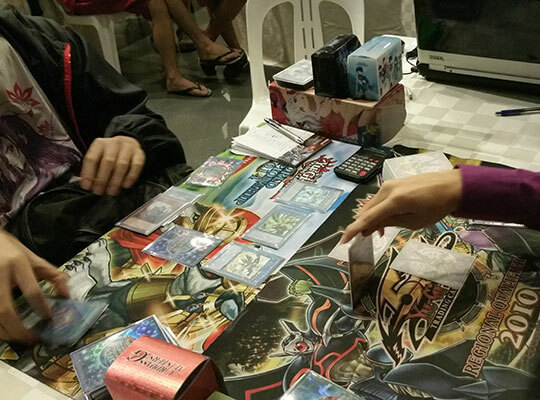 At the dusk of Day 2, we are down to our final 4 duelists. 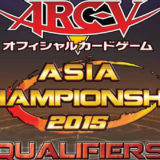 This is truly a clash of the titans as we have two Asia Champions going head to head. 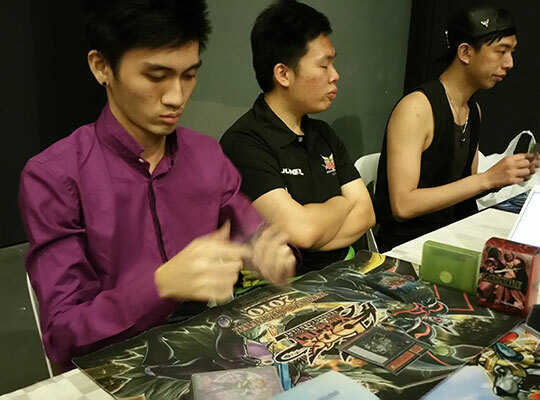 On one side, we have Kee Kian Sim “Sam”, the 2009 Asia Champion. His large cumulation of achievements such as the World Championship 2009 Top 8, World Championship 2011 Malaysia representative, Asia Championship Plus 2010 Champion Team and Asia Championship 2013 1st Runner-Up has earned him the nickname of the “Asia Idol”. Sam is playing with Masked HERO. 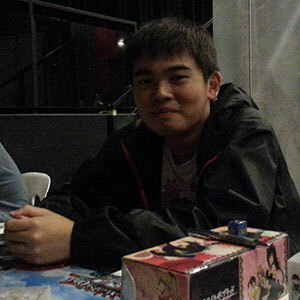 On the other side, we have Calvin Ang, the 2014 Asia Champion. Calvin has also quite a few achievements under his belt, having represented Singapore in the World Championship 2014 last year, as well as the Asia Championship Plus 2013. Calvin is playing with Nekroz. Calvin won the dice roll, but opted to go second. Sam opened with A Hero Lives, dropping his life points down to 4000. Calvin responded with Maxx “C”, attempting to discourage Sam from performing anymore Special Summon this turn. A Hero Lives brought out Elemental HERO Stratos, fetching Elemental HERO Shadow Mist, while Calvin drew a card off Maxx “C”‘s effect. Sam Normal Summoned Elemental HERO Shadow Mist and set 2 cards in his backrow before ending his turn. Calvin played Nekroz Cycle on his turn, but was met with a Mask Change on Elemental HERO Shadow Mist from Sam. 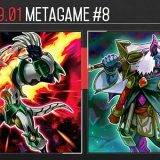 Mask Change brought out Masked HERO Dark Law, while Nekroz Cycle tributed Shurit, Strategist of the Nekroz to bring out Nekroz of Trishula! The monster effects formed a chain before resolving, resulting in Elemental HERO Shadow Mist fetching Elemental HERO Blazeman for Sam. 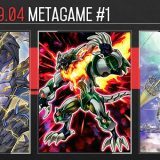 Nekroz of Trishula banished Elemental HERO Blazeman from Sam’s hand, Elemental HERO Stratos from his field, and Elemental HERO Shadow Mist from his graveyard. 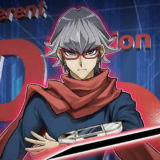 Finally, Shurit, Strategist of the Nekroz fetched Nekroz of Brionac for Calvin, which in turn triggered Masked HERO Dark Law, causing him to lose his Nekroz Mirror. 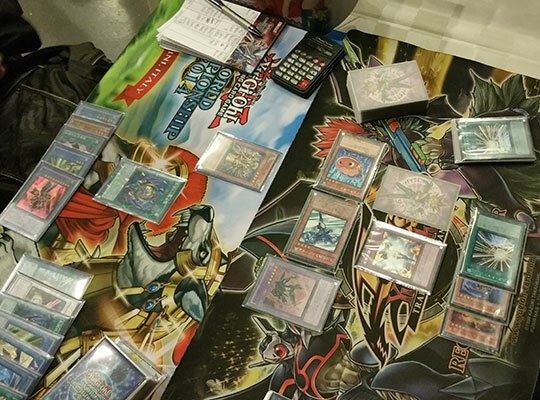 Nekroz of Trishula attacked into Masked HERO Dark Law, destroying it and dropping Sam’s life points down to 3700. Sam drew and played a second A Hero Lives, dropping his life points further down to 1850. Elemental HERO Shadow Mist was Special Summoned, fetching a Mask Change for him. Tin Goldfish was Normal Summoned, but Sam chose not to activate its effect. Mask Change was set in his backrow and the last card in Sam’s hand was revealed to be Elemental HERO Bubbleman. Elemental HERO Bubbleman was Special Summoned onto the field and all 3 monsters were used to Xyz into Tellarknight Ptolemaeus. 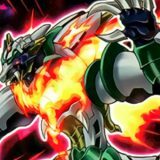 Tellarknight Ptolemaeus‘s effect was activated to bring out Cyber Dragon Nova which was promptly used to Xyz Summon Cyber Dragon Infinity! 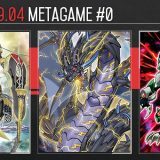 Cyber Dragon Infinity‘s effect was activated, turning Calvin’s Nekroz of Trishula into its Xyz Material, before attacking directly for 2700 damage, dropping Calvin’s life points down to 5300. Calvin drew and proposed to proceed to his Standby Phase, but Sam responded with a Call of the Haunted to revive Elemental HERO Shadow Mist during the Draw Phase. The game proceeds to Main Phase 1 and Calvin activates Nekroz of Brionac from his hand, discarding it as a cost. Without hesitation, Sam flipped over his Mask Change, targeting Elemental HERO Shadow Mist. Calvin answered with a Forbidden Lance on Elemental HERO Shadow Mist, but it was negated by Cyber Dragon Infinity. A second Masked HERO Dark Law was Special Summoned onto the field, while Calvin contemplates on what to fetch with his Nekroz of Brionac. Calvin concedes after realizing that he had no answer for the Cyber Dragon Infinity + Masked HERO Dark Law lockdown. Calvin once again opted to go second. 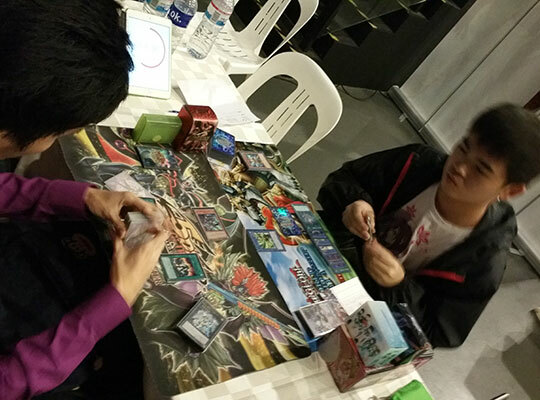 Sam opened with Tin Goldfish which Special Summoned Elemental HERO Stratos, fetching Elemental HERO Shadow Mist. Both monsters were then used to Xyz Summon Tellarknight Ptolemaeus and Sam set a card to the backrow. Tellarknight Ptolemaeus attached Stellarknight Constellar Diamond from the Extra Deck to it as an Xyz Material during the End Phase before passing over to Calvin. Calvin’s Harpie’s Feather Duster took out Sam’s Solemn Judgment and followed with discarding Nekroz of Clausolas from his hand to fetch Nekroz Kaleidoscope. Nekroz Kaleidoscope was activated and Sam responded with Tellarknight Ptolemaeus‘s effect to bring out Constellar Pleiades. Unfortunately Constellar Pleiades was rendered useless as Nekroz Kaleidoscope sent Herald of the Arc Light from the Extra Deck to the graveyard to bring out Nekroz of Unicore! Herald of the Arc Light fetched Nekroz of Decisive Armor. 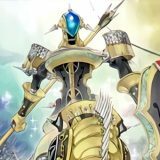 Nekroz of Unicore attacked into Constellar Pleiades and Nekroz of Decisive Armor was discarded to increase Nekroz of Unicore‘s ATK to 3300. Constellar Pleiades was destroyed and Sam took 800 damage, dropping his life points to 7200. Calvin set 2 cards to his backrow before ending his turn. Sam returned with a Harpie’s Feather Duster of his own, taking out Calvin’s Book of Eclipse and Forbidden Lance. Sam Normal Summoned Elemental HERO Shadow Mist, but was met with a preemptive Maxx “C” from Calvin. Sam ended his turn without any further actions, not giving Calvin any cards from the Maxx “C”. Nekroz of Unicore attacked into Elemental HERO Shadow Mist, dealing 1300 damage to Sam, further reducing his life points to 5900. Elemental HERO Shadow Mist fetched Elemental HERO Blazeman for Sam and that was it for Calvin’s turn. Sam Normal Summoned Elemental HERO Blazeman, set 2 cards to his backrow and reveal that his last card was indeed Elemental HERO Bubbleman! Calvin had read Sam’s hand correctly predicting that Elemental HERO Bubbleman, but was unfortunately unable to capitalize from his preemptive Maxx “C” tempo play in the previous turn. 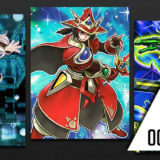 Both Elemental HERO Blazeman and Elemental HERO Bubbleman were then used to Xyz Summon Number 39: Utopia. Number 39: Utopia attacked into Nekroz of Unicore, dealing 200 damage to Calvin, dropping his life points to 7800. Number 39: Utopia became Number S39: Utopia the Lightning during Main Phase 2. Nekroz Kaleidoscope was activated in the graveyard and banished together with Nekroz of Decisive Armor to fetch Nekroz Mirror. Nekroz Mirror was activated, banishing both Nekroz of Clausolas and Nekroz of Unicore from the graveyard to Ritual Summon Nekroz of Gungnir. Nekroz of Gungnir was activated, discarding Nekroz of Clausolas, targeting one of Sam’s set card in the backrow. Sam flipped over that set card, revealing the Book of Moon which turned Nekroz of Gungnir face-down. That stopped Calvin in his tracks, as he shakes his head before passing over with no further plays. Sam played Instant Fusion, paying 1000 life points, to bring out Elder God Noden which revived Elemental HERO Shadow Mist. Both monsters were then used to Xyz Summon Gagaga Samurai. 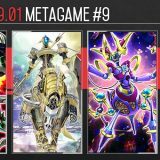 Gagaga Samurai‘s effect was activated, detaching Elemental HERO Shadow Mist, which in turn fetched Elemental HERO Bubbleman. 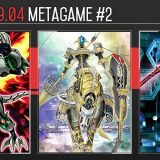 Gagaga Samurai took out the set Nekroz of Gungnir before going for a direct attack with Number S39: Utopia the Lightning. Calvin’s life points was dropped to 3400. It was now Calvin’s turn to fight back! Calvin banished both Nekroz Mirror and Nekroz of Gungnir to fetch Nekroz Cycle. Nekroz Cycle was activated, tributing Shurit, Strategist of the Nekroz to ritual summon Nekroz of Clausolas from the graveyard. Shurit, Strategist of the Nekroz fetched Nekroz of Trishula. Nekroz of Clausolas activated its effect on Gagaga Samurai before attacking into it. Sam was down to 3700 life points. Sam went straight into his Battle Phase, but Calvin responded with Nekroz of Clausolas‘s effect on Number S39: Utopia the Lightning at the start of the Battle Phase. Sam made a surprising move and declared an attack with Number S39: Utopia the Lightning into Nekroz of Clausolas. Calvin questioned Sam’s dubious play, but Sam simply replied with a nonchalant “Yeah”. Number S39: Utopia the Lightning was destroyed and Sam’s life points dropped to 2500. It turns out that Sam had a trick up his sleeves. By suiciding his Number S39: Utopia the Lightning, Sam cleared up his field, enabling him to play A Hero Lives in his Main Phase 2. A Hero Lives brought out Elemental HERO Shadow Mist which in turn fetched Mask Change. Sam halved his life points to 1250. Sam set 2 cards to his backrow and Special Summon Elemental HERO Bubbleman from his hand. Both monsters were then Xyz into Castel, the Skyblaster Musketeer. Castel, the Skyblaster Musketeer‘s effect was activated and Nekroz of Clausolas was shuffled back into Calvin’s deck. Calvin banished both Nekroz Cycle and Shurit, Strategist of the Nekroz to fetch Nekroz Kaleidoscope. 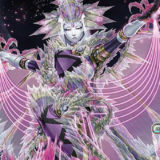 Nekroz Kaleidoscope was activated, tributing Shurit, Strategist of the Nekroz to Ritual Summon Nekroz of Trishula! 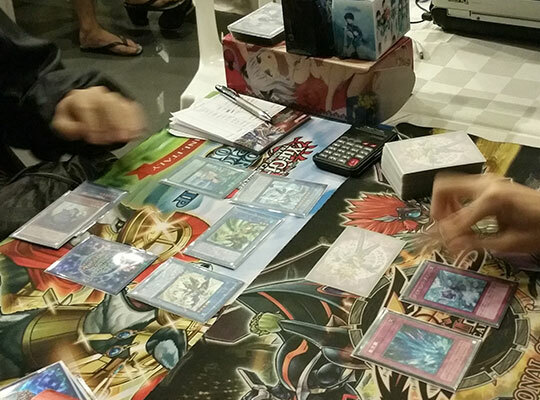 Nekroz of Trishula‘s effect couldn’t be activated as Sam had no cards in hand. Shurit, Strategist of the Nekroz fetched Nekroz of Brionac. Nekroz of Trishula attacked into Castel, the Skyblaster Musketeer and Sam’s life points dropped to a dangerous 550. Sam drew and set that card in his backrow before passing his turn. Calvin attacked with Nekroz of Trishula but Sam had a Diamond Dust to take it out. Calvin took 500 damage, down to 2900 life points. 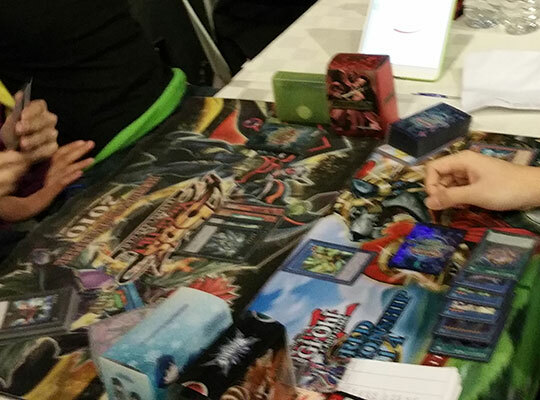 Calvin banished both Nekroz Kaleidoscope and Nekroz of Trishula to fetch Nekroz Mirror. 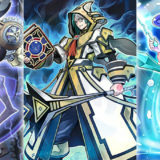 Nekroz Mirror was activated, banishing Shurit, Strategist of the Nekroz to Ritual Summon Nekroz of Clausolas. Sam drew and activated E – Emergency Call, fetching Elemental HERO Shadow Mist. Elemental HERO Shadow Mist was Normal Summoned and that was all for Sam’s turn. Calvin activated Reinforcement of the Army, and Sam responded with a Mask Change on his Elemental HERO Shadow Mist. Calvin seized the chance to activate his Maxx “C” and the chain resolves. 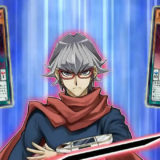 Masked HERO Dark Law was brought out in Defense Position, allowing Calvin to draw a card. Reinforcement of the Army fetched Heroic Challenger – Assault Halberd but was discarded and banished by Masked HERO Dark Law. Calvin set a monster and passed his turn. Sam drew and set a card to his backrow. Calvin flipped over his set monster, revealing it to be Senju of the Thousand Hands, fetching Nekroz of Clausolas. Thunder King Rai-Oh was Normal Summoned and attacked into Masked HERO Dark Law in Defense Position, eliciting a concede from Sam. Calvin managed to tie the series, bringing it to a third game. Sam chose to go second. Calvin discarded Nekroz of Clausolas to fetch Nekroz Cycle. Nekroz Cycle was activated to tribute Djinn Releaser of Rituals from hand to Ritual Summon Nekroz of Clausolas from the graveyard. Calvin set a card to his backrow and pass his turn. With the Djinn lock in play, Sam could only set a monster and another card to his backrow before passing. Sam drew into Harpie’s Feather Duster and activated it immediately, taking out Calvin’s Forbidden Lance. But Sam had no further plays. Calvin broke the standstill by discarding Nekroz of Brionac to fetch Nekroz of Unicore. Nekroz Kaleidoscope was activated, sending Herald of the Arc Light from the Extra Deck to the graveyard to Ritual Summon Nekroz of Unicore. Herald of the Arc Light fetched Nekroz of Trishula. Nekroz of Unicore attacked into the set monster, destroying Sam’s Elemental HERO Shadow Mist which fetched Elemental HERO Blazeman. Calvin set a card to his backrow before passing. Sam could only set a monster with another card into his backrow before ending this turn. 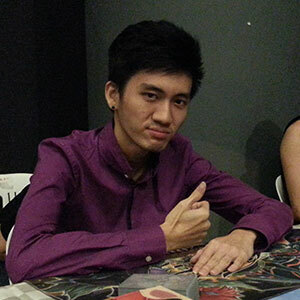 Calvin pushed on with the aggression by discarding Nekroz of Clausolas to fetch Nekroz Mirror. Nekroz Mirror was activated, banishing both Nekroz of Brionac and Djinn Releaser of Rituals from the graveyard to Ritual Summon Nekroz of Trishula! Calvin had created a double Djinn lockdown! However, the summoning of Nekroz of Trishula had activated Sam’s trap card! Sam flipped over a Torrential Tribute that would destroy all monsters on the field. Calvin was prepared as he responded swiftly with a Forbidden Lance on his Nekroz of Trishula, protecting it. But Sam had another trap card and it was Diamond Dust!! Diamond Dust destroyed all of Calvin’s monsters, dealing him 1500 damage. Nekroz of Trishula‘s effect banished Elemental HERO Blazeman from Sam’s field, Mask Change from his hand, and Elemental HERO Shadow Mist from his graveyard. Calvin banished Nekroz Kaleidoscope and Nekroz of Clausolas from the graveyard to fetch Nekroz Mirror. He set a card to his backrow before passing his turn. Finally out of the Djinn lock, Sam activated A Hero Lives to Special Summon Elemental HERO Stratos, fetching Elemental HERO Shadow Mist. Sam was down to 4000 life points. Elemental HERO Stratos direct attacked for 1800 damage, dropping Calvin to 4700 life points. Sam set a card to his backrow and ends his turn. Calvin Normal Summoned Senju of the Thousand Hands to fetch Nekroz of Gungnir and pass. It was now Sam’s turn to turn on the aggression. 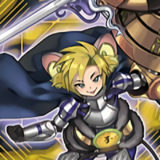 He Normal Summoned Tin Goldfish which in turn Special Summoned Elemental HERO Shadow Mist. Elemental HERO Shadow Mist fetched Mask Change. Elemental HERO Stratos attacked into Senju of the Thousand Hands, forcing Calvin to respond with Book of Eclipse. Sam set a card to his backrow. During his End Phase, Elemental HERO Stratos, Tin Goldfish and Elemental HERO Shadow Mist were flipped face-up, allowing Sam to draw 3 cards from the effect of Book of Eclipse. Sam then activated Mask Change on Elemental HERO Shadow Mist to Special Summon Masked HERO Dark Law. Calvin Flip Summoned Senju of the Thousand Hands on his turn, fetching Nekroz of Decisive Armor, but was discarded and banished by Masked HERO Dark Law. Calvin flipped over his set Nekroz Mirror, but Sam has an answer in the form of Vanity’s Emptiness, causing Nekroz Mirror to fizzle. Senju of the Thousand Hands attacked into Elemental HERO Stratos, triggering the destruction of Vanity’s Emptiness. Sam set 4 cards to his backrow and Special Summon Elemental HERO Bubbleman from his hand. He flipped over an E – Emergency Call fetching Elemental HERO Shadow Mist which was then Normal Summoned. With no way to stop the incoming onslaught, Calvin could only concede. Sam had narrowly won this nail-biting series and the Asia Idol proceeds to the final!